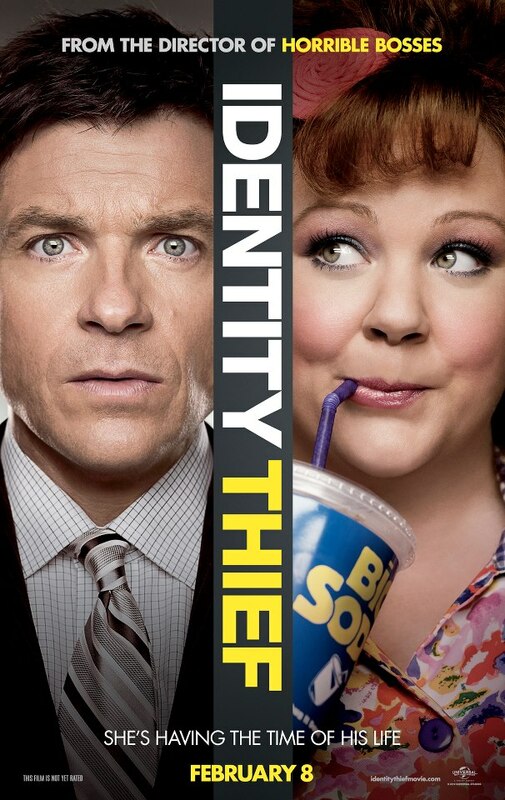 Director Seth Gordon is hoping to have as at least much success with his latest effort, Identity Thief, as he did with Horrible Bosses, his surprise hit from 2011. Reuniting with Jason Bateman and pairing him up with the outrageous antics of Melissa McCarthy is definitely a step in the right direction, but the key to any successful comedy is being able to combine all the gut busting moments with a story that keeps it from becoming a series of sketches that never add up to anything worthwhile. Sandy Patterson (Bateman) is a financial specialist from Colorado who is about to embark on a career change when his world is suddenly turned upside down by accusations of credit fraud, over limit accounts, and a missed court appearance all leading to his arrest one morning on his way to work. Meanwhile, a woman in Florida (McCarthy) is living the high life by using credit cards she made herself after obtaining Mr. Patterson's personal information. When Patterson discovers that the local police aren't able to do anything about his situation without the person committing the crime being right there in front of them, he decides to take matters in to his own hands and sets off for Florida to make an arrest and bring back the woman who has cost him his job and his reputation. When he finally locates the woman who is using his name, he quickly realizes how, after drug dealers and bounty hunters get involved in the chase, getting her back to Denver isn't going to be as easy as he thought it would be. I'm going to tell you right now that if you are a fan of Melissa McCarthy, you are going to love this movie. For my part, I have been lukewarm on her comedy up to this point, but this character is right in her wheelhouse as it allows her do lots of hilarious physical comedy as well as use her sense of timing and unique flair to keep you laughing all the way through. In lesser hands, her part could easily be more annoying than anything else, but she has a certain charm about her that keeps you rooting for her even while she is trying to get away with the most devious schemes. 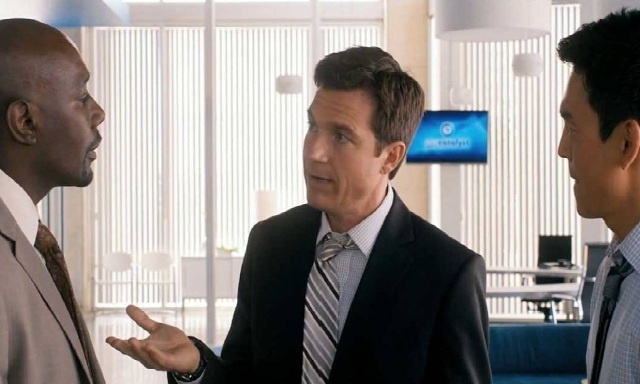 Jason Bateman does his usual solid work as the straight man to the more wacky and absurd antics of whoever he is paired with on screen. He is actually quite good in the role and manages to hold his own as the lead character even when literally going toe to toe with McCarthy's character. The movie also features Robert Patrick as a grizzled bounty hunter as well as rapper T.I. alongside the smoking hot Genesis Rodriguez as the stereotypically cast drug dealers. With Identity Thief, you can expect lots of laughs all the way through with a decent attempt at tying everything together with a feel good story. While flawed in many ways, there's really no reason to try and pick apart the plot, I mean really...this is comedy. Get over it. For my part, I thought it was a much better movie than I was expecting and, like I said earlier, fans of McCarthy are really going to get a kick out of her in this role. At the very least, you won't feel like you just had your money stolen, but you still might want to check your wallets and purses just in case. Labels: 2013 Movie Reviews , Amanda Peet , Ellie Kemper , Genesis Rodriguez , Jason Bateman , Jason Davis , John Cho , Jon Favreau , Jonathan Banks , Maggie Elizabeth Jones , Mary-Charles Jones , Melissa McCarthy , Morris Chestnut , Robert Patrick , T.I.